Manufacturers & exporters of home furnishings and kitchen textiles, from cotton and viscose. 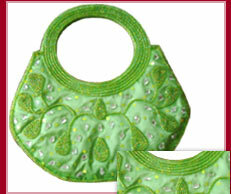 also, handicraft products and pin tucks are an easy detail to add to your dresses, skirts, blouses, pants, etc. Manufacturers & exporters of patchwork and pintuck. We are a leading manufacturer and exporter of fabric related products since 2000.We have a large amount of quality oriented product with well designed fabrics material. Manufacturer and Supplier of quality patchwork fabrics and patchwork home furnishing items like patchwork quilts and pintuck clothes. We have interested with your organization to sell for our handmade shaggy and hand made dhurry(2paddle and also 4paddle), patchwork carpets in 3/20 knotted also tufted and double-back hand-loom carpets. We are leading manufacturer and exporter of dress material, sarees, kaptan, designer suits, yarn, designer dupatta, print fabric, farasa. We are leading manufacturer and exporter of chair, panel & upholstery fabric, furniture fabric, audotriam fabrics, chair fabrics, curtan, lose cover fabrics, pin board fabrics/ panal fabrics, upholestry fabrics, designer fabric. We are leading manufacturer, exporter, trader and wholesaler of print fabric, fashion fabrics, embroidered fabric, banarasi silks, brocade, chiffon fabric, cotton, net fabric. We are leading manufacturer and supplier of pvc fabric, nylon pvc fabric, pvc coated fabric, metallic fabric, polyester pvc coated fabric. We are leading manufacturer, supplier and exporter of textile fabrics, readymade garments, ladies leggings, t-shirts, sweat shirts, girls kids wear, checks- boxer shorts, bermudas cargo, ladies slips, lounge wear, kids wears, men premium innerwear, ladies capri. We are leading manufacturer, supplier and exporter of denim fabrics, cotton fabrics, denim garments- jeans, trousers, jackets, shirts. We are leading manufacturer, supplier and exporter of disperse print fabric, pigment disperse print with khadi, discharge print fabric, cotton discharge print fabric, knitted wear, textile machines we use for designing. We are leading manufacturer and exporter of non woven textile fabrics, dop plasticizer, air mesh, polyester hot melt adhesives. We produce industrial fabrics with good quality and competitive price. Hebei Mingwai Industrial Fabric Co., Ltd.